BRYAN EATON/Staff photo. 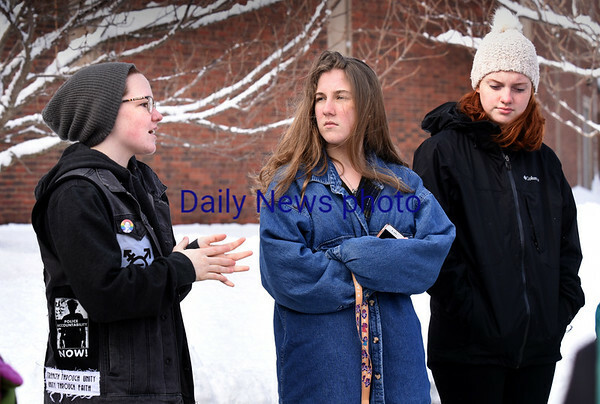 Though schools were closed on Wednesday, organizers of a school walkout to protest school shootings at Amesbury High School were part of 20 people who attended. From left, Jordan WIckard, Thomasina Glenn and Hanna Rowe.